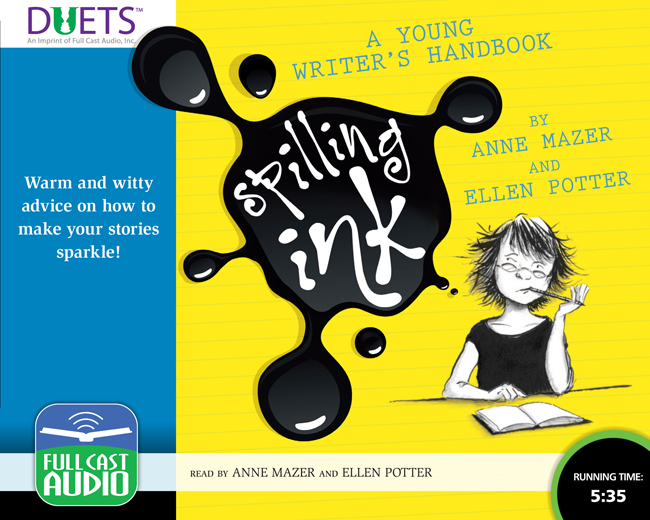 Prompted by a neverending stream of letters pleading for advice on how to be a better writer, successful children’s authors Anne Mazer and Ellen Potter put their heads together to create this useful guide. With dozens of books and decades of experience between them, the authors brought their distinct personal styles to the advice they had to offer. Now they have done the same for this audio version, with each author narrating her own sections. Along the way they call in some friends for some delightful bits of storytelling to illustrate their points. Filled with wisdom and delivered with wit, this funny, practical guide will be welcomed by anyone who wants to improve his or her skills as a writer. Whether you long to create compelling stories, or simply want to express yourself more clearly and directly, this is the book for you!